Dunbarton is an intimately-sized active adult community for homeowners who have reached the 55 year milestone. Located in Bristow, VA, in historic Prince William County, 45 minutes away from Washington, DC. This serene, gated, community is situated on land first settled by the Linton family from Scotland, who gave it to the Benedictine Sisters and was later sold for residential development. These 141 acres, where the Sisters once picked berries and fished, now encompass 479 homes. Construction on the Dunbarton community began in 2001 and feature homes of various sizes and styles, welcoming residents in a quiet neighborhood atmosphere. These homes were specifically designed for the active adult homeowner with spacious first floor master suites with spa-like baths, casual outdoor living spaces and ample storage areas. They are set within mature landscaping and have charming curb appeal. Common areas, which include streets, facilities and amenities, are owned and maintained by the Community Association. HOA dues are reasonable and include basic cable and internet, trash pickup, street and common area maintenance. 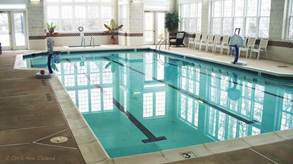 The community offers a wonderful set of amenities to encourage a physically fit and socially active lifestyle centered around our lovely 21,000 square foot clubhouse. 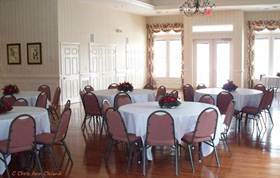 Its features include a fitness center, indoor swimming pool and spa, billiards and card room, a relaxed gathering room and a grand ballroom perfect for holiday parties, dances, social gatherings, theatrical plays, seminars and more. 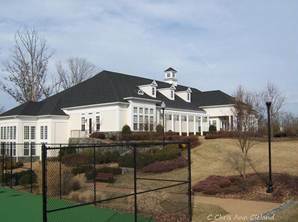 Outdoors there are tennis and pickle ball courts, putting green and a walking trail beside Broad Run. As part of the larger master-planned Community of Braemar, residents of Dunbarton can also enjoy Braemar’s two outdoor swimming pools nearby. Moving to Dunbarton can definitely expand your social calendar with planned activities such as bridge, Bible study, sewing and scrapbooking, to various exercise classes, line dancing and musical presentations. There is a drama group, a billiards group, book clubs, and golfers who make use of local golf courses. There is a monthly Community Breakfast, a Ladies Lunch, a Men’s Lunch as well as a co-ed Dine Around and a wine club. If you are ready for local travel, there are historic sites, outlet shopping and as mentioned before, Washington DC with its wonderful sights and museums is only 45 minutes away. The Community was recognized by the Washington Metro Chapter of the Community Association Institute (WMCCAI) in 2012 with a Humanitarian Award and in 2014 as the Outstanding Medium-size Community Association. Dunbarton is an active adult community. We are not an assisted living facility. We offer no assisted living nor any health care services, however hospital and medical offices are conveniently located to the community. If you are seeking an assisted living facility, please go to the Virginia Department of Social Services. If you are interested in knowing more about Dunbarton, contact our clubhouse at 703-530-9600 or your local real estate agent.